Back to the 1973 Mays for a second. This one (not mine, and I'm not trying to adversely affect whoever is selling it) is on ebay. How in heck did it get a 9???? Look at those bumped/rounded corners and the notch in the upper right (among other things). Yowza!!!!! Why would anyone pay almost $500 for that card?? No purple sticker for you!!!!!!! Also notice that the raw ‘73 Mays that Jason showed for comparison purposes is centered better than the PSA 9 in his post. That’s ridiculous. If I’m going to spend $500 on a Willie Mays card - no offense to the ‘73 set - but it’s not going to be his last one, no matter how nice it is. Last edited by jchcollins; 05-26-2018 at 07:33 PM. 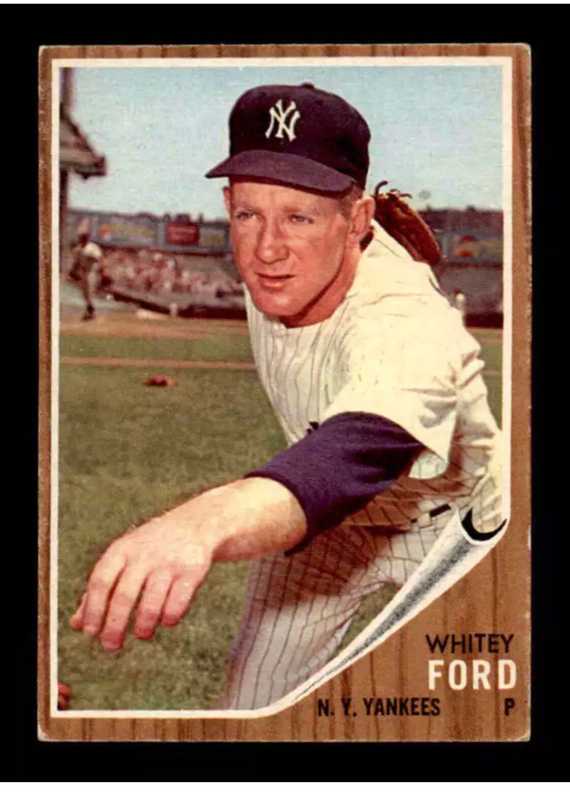 If I get a vintage PSA 8 or above, especially if a star HOFer, and also especially if I’ve spent big bucks - I’m going to be very intolerant of the LEAST perceived imperfections, including those which are likely tolerable within the stated spectrum. Even PSA 9’s and 10’s can have “something” wrong; 10’s are claimed by PSA to be “virtually” perfect cards. For example, there are countless examples of vintage PSA 10’s with slightly noticeable tilt. That kind of thing doesn’t bother me at all on a PSA 5 or 6, but if I had paid for a 10? Personally, I’d rather have a PSA 5 that’s still a good looking card, but where I know what the flaws are and am not paranoid as to what else might inherently be wrong with the card-grade combo and how much I paid. If I had a card like that for a week, I would find something wrong with it, trust me. My OCD is not that bulletproof. Mid-grade just is so much easier and takes the paranoia-level concerns away, in my case. Last edited by jchcollins; 05-28-2018 at 08:24 AM. I always thought of collector grade as a bit lower than mid-grade up to maybe VG at the top end of the scale. Cards that are being "collected" not bought for an investment of any kind. Of course not all high end cards are strictly bought for investments purposes. Some folks just have the means to collect high grade and plenty of it. Love 'em all. Fun to look at! That's a good explanation and one that is likely correct. Thanks ! I’ll post a few more later if I can. Here's my 55 Williams in "collector grade" that was given to me by a friend. It fits right in with my collection too. How ya like that one? Although rough, the Williams is completely viewable/readable and it was free. How can one go wrong there? Very nice! I posted this in May pickups. I was trying to complete my 63 set with my birthday money and the Rose card is just out of control expensive. Instead I saved over $100 and picked up this Banks and a raw Kaline RC. This Banks doesn’t even qualify as mid grade but it has great eye appeal and looks better than many graded 3-4. Can’t find a crease on it. I'd call that Banks mid grade. Even though the technical grade is a 2 it looks nice to me. I need one like that for my 54 set. I only need the Banks, Aaron and a few commons still to complete that baby. My favorite Topps set. Fantastic cards everybody. Glad to see mid-grade cards get some love. Thanks for the comments on the Banks. I was starting to build the 54 set but I had the Banks, Kaline, Aaron left and that was overwhelming. With the recent purchases I am only left with Aaron as a big card - I've got Mays, Jackie, both Williams etc. So I am in good shape. Need to acquire some of the common players I have left. Maybe 50 or so. Those should be pretty easy and then I'll wait for a big holiday or birthday to get the Aaron. That card is simply out of my normal card budget. 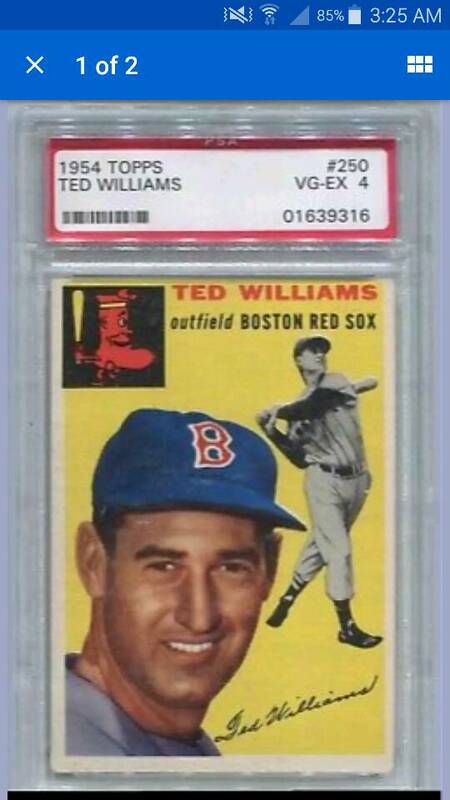 Awesome 53 Mantle. I am assuming some sort of paper loss on the back? I display all my Mantles in a case so that type of Mantle would work perfect for me. What a nicely centered Mantle! Dean...that's a terrific lineup of cards! Stephen - yes, there is paperloss in the back. But not enough to bother me with the kind of eye appeal the front offers. While 5 is the midpoint, I've always thought of midgrade as vg through ex-mt. Or 3-6. Sub-3 is low grade, off-grade, OBC, or collector grade. Whatever term you like. 7-8 is high grade, 9-10 is registry bait. That would all be for pre-1974 cards. 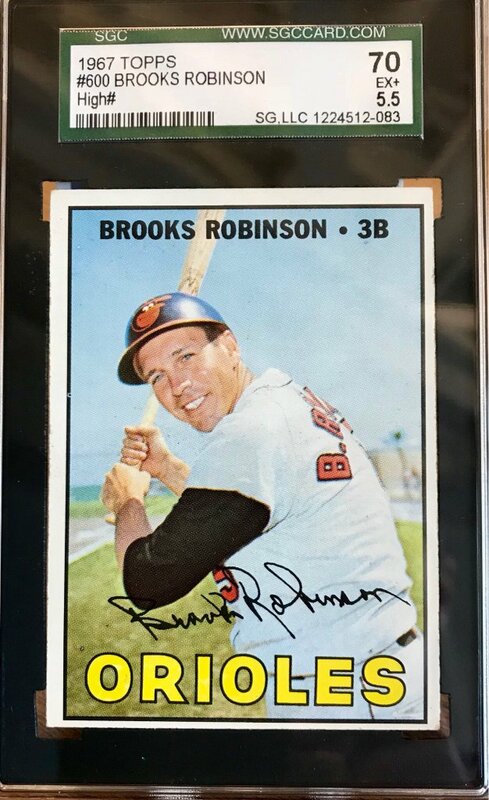 Once you get into the 1974-on, I'd say there is basically no collectability below a nice looking 4 unless it is one of the really expensive RCs from the era. The rest is basically dollar box fodder. After 1980, the cut-off is basically a 6 or a 7, except for a few cards (1986 Jordan, 1979 Gretzky) that people will buy. Modern era (1989+) there is no midgrade or low grade; if it ain't near mint or better it is basically useless. Gorgeous Mantle. If that is poor, I'll take poor cards all day long. "Registry bait", good term. There was an old grading site used 10-15 years or so ago where a collector named Bruce Moreland was attempting to describe how certain terms were useless outside of the world of professional grading, and particularly with vintage cards. His point was that trying to describe the difference between a mint card and a gem mint card while raw was likely to be so purely subjective as to be absurd. Your term comes in nicely here, because those types of cards are most certainly "registry bait." Sub-3 is low grade, off-grade, OBC, or collector grade. Used to chase nm-mt stuff, graded, but that is not me. 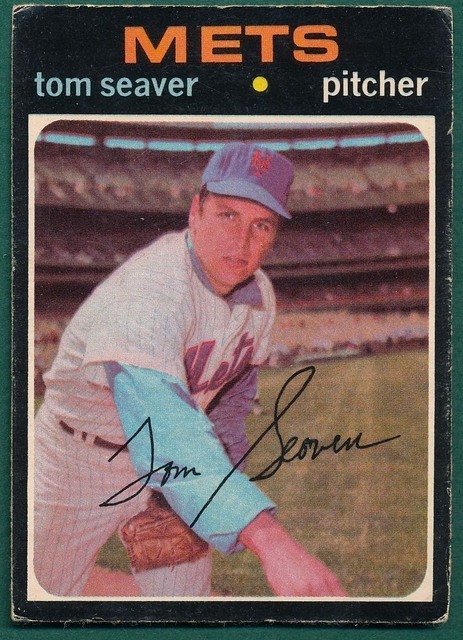 The cards I owned as a kid were early’60’s and I handled the **ll out of them. We all did. So a perfect card is nothing I owned for long. I chase VGExish stuff these days and have been selling off the high grade prewar stuff I have. There is something about a rougher card that I find attractive. Maybe it’s the idea of owning something that some other kid kinda like me liked having. Recently I started a Japanese Menko type set, starting with die cut and round menko from the late ‘40s and early fifties. Thinking about kids who lived through the horror of WW2 brought it all home to me. I prefer cards that were played with and wonder where on the island they came from. Maybe one day I will get overseas, maybe not. Last edited by drmondobueno; 06-05-2018 at 01:51 PM. Hi Keith. No doubt you've seen it (since it's on the same page as this thread) but I started a thread on Japanese cards. I'm putting together a collection of Japanese hall of famers and I'm posting them there as I go, but if you've got some type cards from unusual menko sets that you could post, I'd love to see them. Hey Nat, have been following your thread and enjoying same immensely. My japanese baseball knowledge is severely limited and by no means can I read kanji. I do use the Engle book as a guide and guess my best more often than I care to admit. Will do on posting once I get a scanner to work with an ipad. I wish I could take credit for OBC but some dealers use it on eBay. This fits well with my finished 1956 Yankees Topps set. I got the first one (Yogi Berra) 28 years ago and received the last three (Howard, Martin, and Noren) today in the mail. Last edited by Cooper1927; 06-13-2018 at 08:15 PM. I am bumping this thread and thanking all of you guys for making it so great. I can't tell you how much finding this thread has helped me. I have been wanting to get back to 50s and 60s set building (mainly baseball but some football ), but had been feeling like the sets I could build wouldn't be " good enough." I started the 67 Topps baseball set and had purchased some PSA 6s and 7s...which I have now sold. I just can't reasonably sustain that kind of cost, especially when there are so many sets I want. My 67 set will now be in a binder, even the stars, in vgex to ex condition and a whole lot more affordable. I will do the best I can on centering and try to avoid creasing. Honest wear is just how it should be. After spending PSA 7 $, it is shocking to see how much more affordable crease free 4s and 5s (or even better---ungraded cards) are. It will be fun loading the pages in the binder, placing my cards that I already have in the correct spots, and then filling in the empty slots. This is what I always intended, but I guess I got caught up. Last edited by vintagebaseballcardguy; 06-30-2018 at 04:08 PM. Good luck with your set collecting. All my sets are low grade and love them all the same. The low grade stuff allows me to pick up the stars and HOFers at much lower costs. I'd rather have a hole in my card than a hole in my set. I can always upgrade later, but for tough/expensive cards I go low/mid grade all day long. Thanks for the encouraging words, Andy. I like your style. I am regaining my focus and hope to make progress. The cards I can't find ungraded in the condition I want, I will buy slabbed and crack them out. I have an old purchase to get paid off, then I will get going again. I hope to have some cards to share. Last edited by vintagebaseballcardguy; 07-01-2018 at 02:01 AM. I try to collect two sets of cards. My main set tries to get Ex or ExMt or better. My second sets I try to go between Poor and VG, mostly trying to get cards around G/Vg. It is not nearly as expensive to buy cards in lower grade and a lot of times there are really inexpensive lots or starter sets which can knock off much of the set. The only thing I ask from my lower grade sets is that they are whole and don't have significant paper loss. Creases, dog ears, writing (to some extent) all are fine. I don't want a card for my sets which have a bite taken out of them. However, in some cases a hole punch is okay. I picked up this crease free, mid-grade Ted last night. I work on my early 50's and earlier cards in whatever looks nice to me. My favorite grades are PSA 1 where the issue is something silly like tape residue or some minor writing on the back. I've bought vintage Ruth, Gehrig, Cobb, Johnson, Foxx, and many more in PSA 1 and 2 that I adore. I once was working on a 1952 Bowman set in PSA 5-8. Then, I saw a raw vg Musial that was beautiful. I won it for about $50, then sold my graded Musial for over $240. I rolled that money into a ton more cards. I am now 75% done on about 15% of what I would have paid for nice graded cards. I am all about "collector grade"! Again, each unto his own and nothing against collectors who shell out big bucks for macho, super high-grade vintage. But if I tried to put together a ‘67 set like that I might have 10 cards before I died. Last edited by jchcollins; 07-09-2018 at 02:46 PM. Those are great cards! I'm with you in that I would rather give in on centering than have a crease...that's how that card came out of the pack after all! I am finding that in shooting for mid-grade I am usually going to have to make a concession somewhere, but I don't mind doing that. I am having fun, and my collecting is affordable for me. At the end of the day, the card is going into my box or binder, and it is for my enjoyment anyway. Last edited by vintagebaseballcardguy; 07-09-2018 at 04:13 PM. 100% agree. 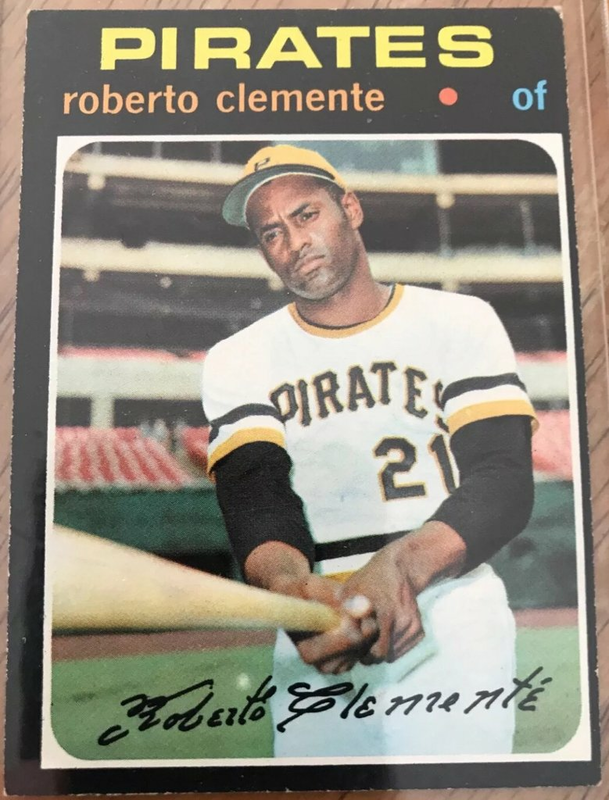 Just got this 71 Clemente today. Made an offer that was 1/3 less than similar cards and it was accepted. Definitely OC, but nice color and no creases. Looks sweet in the binder. Congrats on the pickup, Ed! I think the OC gives it some character. Nice card! I am learning to live with less than great centering. On Friday, I purchased a partial (241/250) 1954 Topps set at a pretty good price. I have gone through and pulled all the cards with creases and wrinkles and will be looking to sell those. While the centering is varied throughout the set, I am ok with that aspect of the cards. What do you guys think about miscuts? Some of them are otherwise very nice cards, and I believe all are commons. I am keeping some that are OC. Is miscut really that much worse? Would you keep or don't keep? 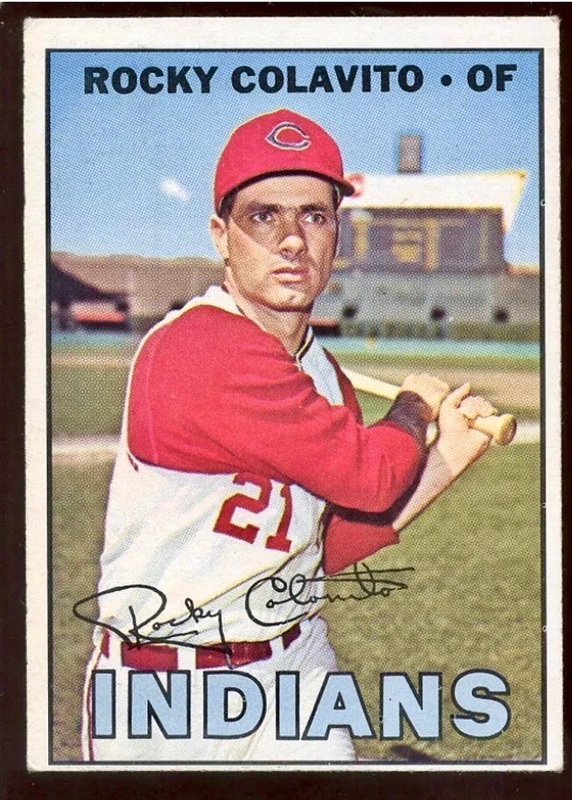 As you can see from the 71 Clemente I posted, I am ok with OC cards. However, I do want to make sure that there is at least a full border around the card. I guess it is just what we can tolerate. I use the “binder test”. If a card looks good while I flip through the binder, I am good with it. Some MC cards I think are tolerable if the borders blend in well or are implied. For example I have a '53 Topps Warren Spahn, PSA 5 MC. It's got a sliver of a top border, but it blends into the color of the painting so well that you have to hold it a couple of inches away from your eye to even see it. The bottom border, where the black nameplate is - is larger than usual because of this - but on the whole the card does not look disproportionate to me, and so I was ok w/ the miscut. There is a scan of this card over on the thread titled "PSA and Off-Center Cards", I think. Last edited by jchcollins; 07-16-2018 at 09:20 AM. The only place I might splurge is on a Hank Aaron (favorite player of the era and all). Last edited by Exhibitman; 07-16-2018 at 11:30 AM. 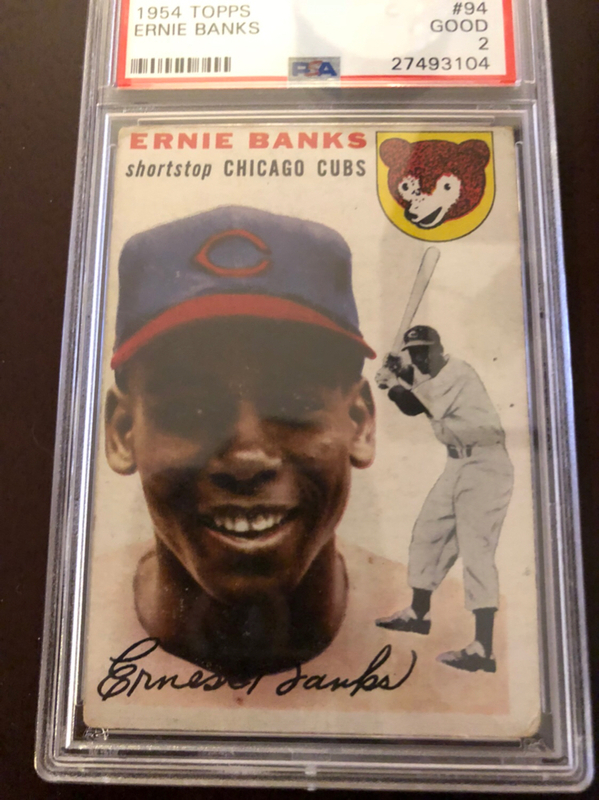 Lately I find myself going for all types - VG-EX range and centered are preferable, but I have also gone for some O/C cards that still have sharper corners and are otherwise clean (sharp to me is usually more PSA 6 range than 8...) - especially with late 60's and early 70's cards. It really just depends on the individual card. Last edited by jchcollins; 08-29-2018 at 10:20 AM. I use the “binder test”. If a card looks good while I flip through the binder, I am good with it. this is what I use and some days I get different thoughts on cards but if they look good in the set I keep it. I think to collect mid grade you have to use some OC cards. My haul from yesterday’s eBay sale. Definitely some mid grade examples that have good eye appeal to me. Nice. I've always thought that VG-EX is an excellent value for the eye appeal most have. I picked these up last night for the '54 Topps set I am building. I like the eye appeal of these cards. The Yogi scan wouldn't cooperate. Tommy Lasorda is the last card I need to complete the set. After that, there will be a few upgrades but nothing major. Great thread and some really nice cards posted! While I love the high end stuff, the mid grade stuff fits my wallet much better! Great thread and the mid grade stuff fits my wallet much better!